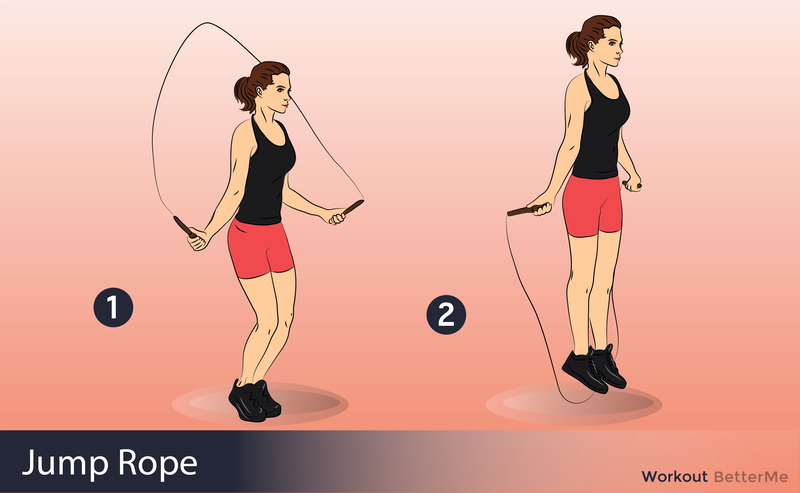 - Hold one rope end in each hand out to your sides with the middle of the rope behind you. Keep the rope ends even with your hips. - Rotate your wrists to swing the rope up over your head. As the rope swings down in front of and towards you, jump over the rope with both feet. Continue rotating your wrists to swing the rope behind you, back up over your head to repeat. - Place a dumbbells on the ground. Step over the kettlebell so that it is in the center beneath you. Move your feet to shoulder-width or just outside of shoulder-width. 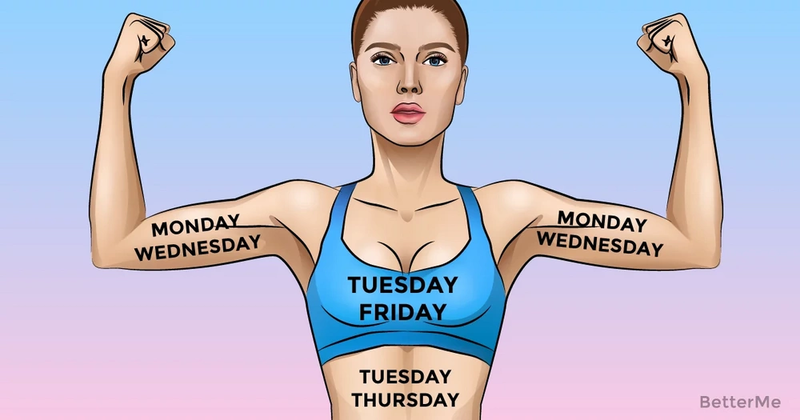 Tighten your core and keep your chest up. - Get into position by placing your hands flat on the floor, directly below your shoulders. Extend your legs out behind you, with only your toes and balls of your feet touching the floor. 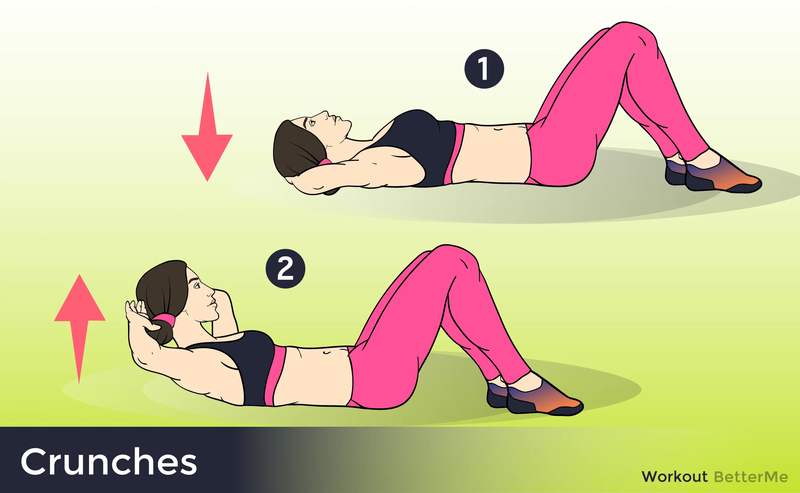 Hold your body up and keep your back straight by tightening your abdominal muscles. Your neck and head should be bent slightly back. 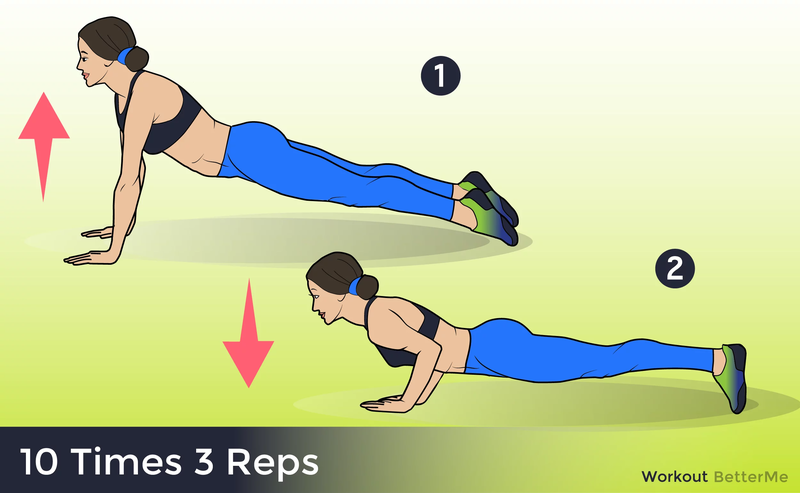 - Lower your chest towards the ground by bending your elbows until your chest is just above the ground or you feel a stretching of your chest and shoulders. Hold for a count of one. - Press upwards from your chest and shoulders, straightening your arms as you return to the starting position. Hold for a count of one. Repeat. - Stand tall with your legs extended straight. - Bend over from the hips and touch the floor with your palms flat on the floor. Keep your legs straight as you walk your hands as far forward as you can. Don’t let your hips sag. - Take small steps and walk your feet to your hands. Continue for the desired amount of repetitions and then straighten up to the starting position.